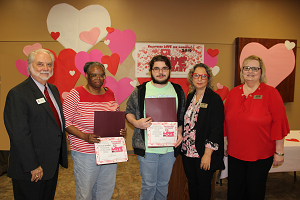 The Jackson-George Regional Library System held the 32nd Annual Volunteer Awards Reception at the Pascagoula Public Library on Tuesday, February 13. 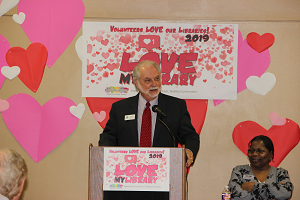 The theme was “Volunteers Love Our Libraries” with over 110 in attendance. Along with a luncheon, the volunteers attending from the nine branch libraries received a certificate recognizing their service and a chance for door prizes. The guest speaker for the event was Mississippi Library Commission Executive Director Hulen Bivins. Awards were presented to the following: Rita Krebs Genealogy Volunteer of the Year was given to MS Digital Library for their assistance in helping digitize collections for the genealogy library; the Mary Ann Louviere Youth Services Volunteer of the Year was presented to Aric Wirtz from the Ocean Springs Library with 181 hours of service. The Flora S. Scholtes Volunteer of the Year was presented to Estelle Nettles from the Moss Point Library with 290 hours of service. The Friends of the Pascagoula Public Library won the Friends of the Library 2019 award which was presented by Library Director Lori Barnes. This award is given for outstanding support for Friends projects, program sponsorships, fundraising efforts, and membership drives for the library. 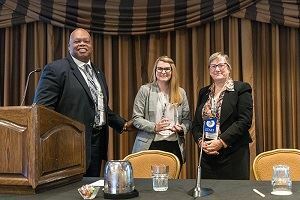 “Volunteers donated nearly 8,000 hours of service to the library system for 2018 and is the equivalent of more than four full-time employees,” said library director Lori Barnes. “We couldn’t do all we do without them,” she said. See photos on the library Facebook page - JacksonGeorgeLibrary or visit the library website at www.jgrls.org for more information about Friends groups and locations. 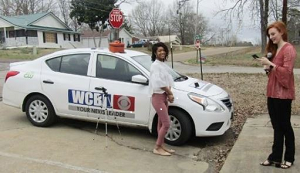 Janice Vaughn, Branch Manager at the Jesse Yancy Memorial Library in Bruce, was interviewed by Rylie Livingston of WCBI News. 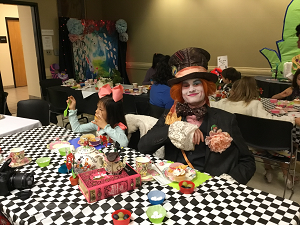 The Pike-Amite-Walthall Library System recently held their first annual Mad Hatter Tea Party the week of December 10, 2018 in the headquarters library in McComb and two of their branch libraries. With over 65 children and adults attending, the tea was a huge success! Everyone was encouraged to dress in character and finger foods were served at the events. 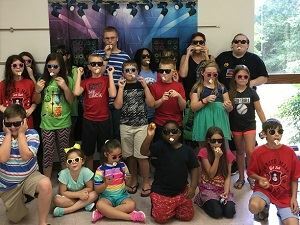 At the McComb branch, there were three different activities set up for the children. There was a face painting table, a craft table, where they were encouraged to make their own Mad Hatter top-hat, and a photo booth. 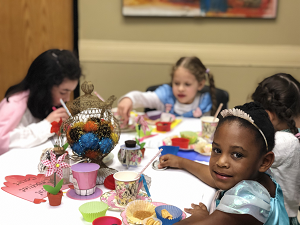 Miss Mattie entertained the children with music and singing, and the story of “Alice in Wonderland” was read by the children’s activities director, Laura Stokes. Carol Green has been named Interim Head of Technical Services at The University of Southern Mississippi Libraries. Bonnie Thornton joined Mississippi State University Libraries in December in the Assistant Professor/Continuing Resources position. 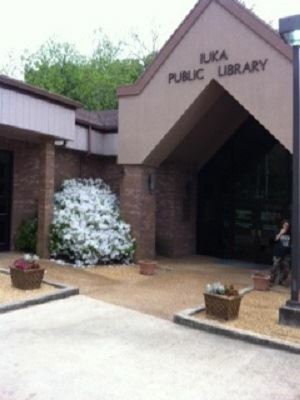 This position is her first professional librarian role and focuses on the management of the print serials collection and other duties as assigned. Bonnie graduated with her MSLIS from the University of Illinois at Urbana-Champaign, where she worked as a graduate assistant in the History, Philosophy, and Newspaper Library providing reference and instruction services. She also worked as a copy cataloger at their large density storage facility. Prior to her time at Illinois, she earned her B.A. in History and Spanish at Augustana College, with a focus on public history and Colonial Spain. She’s glad to have escaped the Midwest with her cats before the snow could bury her. Teri M. Robinson joined the faculty of Mississippi State University as an Assistant Professor/Coordinator of Office of Thesis and Dissertation Format Review. Previously, she was the supervisor for records and transcripts in the Registrar’s Office at the University of Southern Mississippi. In 2018, Teri earned her MLIS and a Graduate Certificate in Archives and Special Collections from The University of Southern Mississippi. She received her BA in Anthropology from the University of Alabama. Rebecca (Becky) Bickford is now Assistant Professor/Social Sciences Librarian in the Research Services department of the Mississippi State University Libraries. Becky joined MSU in late 2017 as a Library Associate in Research Services. Becky graduated in 2006 from the University of West Georgia with a BS in Early Childhood Education. Becky obtained her MLIS from The University of Southern Mississippi in 2016. Upon completion of her MLIS, she worked as the Information Services Librarian at South Georgia State College in Douglas, Georgia. Stephen Cunetto, the Associate Dean for University Libraries at Mississippi State University, was recently appointed to the MLC Board of Commissioners by Governor Phil Bryant. He earned his B.S. in Communication at Mississippi State University and his Masters in Library and Information Science at The University of Southern Mississippi in 2006. As the Associate Dean, he provides strategic direction, oversight, and maintenance of the Libraries' technological infrastructure and technology services, ensuring tight integration of all digital and online services, as well as assists in the overall management and strategic operation of the University Libraries. Mariah Grant was promoted to the position of Associate College Librarian at Millsaps College. In this faculty position, she serves as the Millsaps-Wilson Library’s assistant director, coordinates all public services, and holds the rank of Assistant Professor. She previously held the positions of Public Services and Instruction Librarian and Acquisitions and Serials Librarian at Millsaps College. Grant has a M.A. in Library and Information Science, a Graduate Certificate in Archives, and a B.A. in English Literature from the University of Arizona. Mary Kirkham is the new Collection Development and Interlibrary Loan Librarian at Millsaps College. In this faculty position, she coordinates the Interlibrary Loan Office, serves as the primary liaison to academic departments, manages collection development, and holds the rank of Assistant Professor. Kirkham has a M.L.I.S. and a B.S. in Business Administration from The University of Southern Mississippi. Rachel Long is the new Instructional Technologist at Millsaps College. In her new role, she serves on the library team and is the administrator of the campus course management system. Long joined the Millsaps-Wilson Library as the Library Assistant in 2017 after graduating from Millsaps College with a B.A. in Literature in English and a licensure to teach secondary education.